Joliet Law Office | Johnson & Johnson, Ltd.
A Joliet law office in Will County, Illinois. With more than 35 years of experience, Johnson & Johnson, Ltd. is an established and respected Joliet law office. We have a Joliet law office located in the heart of downtown Joliet, Illinois. Our Joliet law office is located on Jefferson Street between Ottawa Street and Chicago Street directly north of the Will County Courthouse. Our Joliet law office offers a large variety of legal services including family law, bankruptcy law, and traffic law. Our skilled legal team has been proudly serving the community since 1978. Our office is comprised of highly accomplished attorneys who are committed to achieving the best results for our clients. Not all law firms are alike. At our Joliet law office, we focus in several areas of the law so that we provide the top representation to our clients. We are passionate about our work and always go a step beyond the expected to ensure that your case is handled properly. Our litigation expertise is second to none – we are extremely qualified in handling every aspect of your legal case. Our practiced attorneys know the law and understand the legal process. We are prepared to answer your questions. Regardless of how complex your legal matters are, we are dedicated to providing excellent results. As a litigation-focused Joliet law office, our attorneys have the skills necessary to bring a favorable resolution to your situation and protect your rights. A competent Joliet divorce attorney has the expertise and knowledge to handle even the most difficult situations. Negotiation is often necessary in order for couples to come to a reasonable solution. The attorneys at our Joliet law office will assist you in achieving a settlement resolution that works well for you and your family. Driving under the influence, also known as DUI, is a charge that requires immediate legal assistance from a Joliet DUI lawyer. If found guilty of DUI you could be facing some serious consequences that may include fines, jail time, and driver’s license suspension. Additionally, a conviction will likely make your car insurance premiums increase. When you are facing a DUI, you need help from the a Joliet DUI lawyer at a leading Joliet law office. Your Joliet DUI lawyer will help you with your court case to achieve a successful resolution. A skillful Joliet DUI lawyer knows how to defend DUI cases. Every part of your DUI stop and arrest will be examined to ensure that it was conducted properly and that the testing was accurately completed and the results are correct. In some cases, there is not enough evidence to warrant a guilty verdict. Some situations allow for charges to be reduced or dropped. When a punishment is required, an accomplished Joliet DUI lawyer from a Joliet law office knows how to help get a reduced sentence. When you are facing severe money troubles, seek guidance from a reputable Joliet law office. Bankruptcy will give you immediate relief from debt stress and stop creditor’s harassing phone calls. In many cases, your Joliet bankruptcy attorney will help you keep your car and other possessions, and bankruptcy may even help you stop foreclosure. Count on the lawyers at our Joliet law office to help you with all your legal needs. We are devoted to providing our clients with the dedicated service they deserve and we handle each case with care and diligence. Our clients are our number one priority and we work hard to make sure that your needs are taken care of and your rights are always protected. 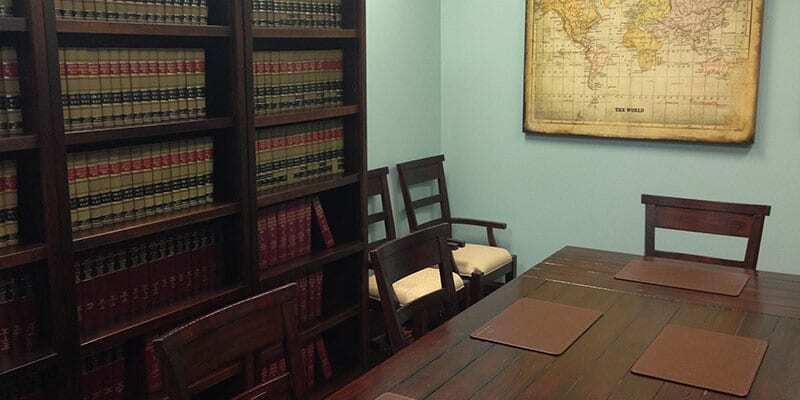 Our seasoned lawyers are expert litigators, able to take on any legal matter. As a leading Joliet law office, we are here to help you through your legal case, from start to finish. The first step is to set up a consultation. You will meet with one of our knowledgeable attorneys where we will learn more about your legal situation and get answers your legal questions. We take away your stress by taking charge of your legal matter. Trust the professionals at Johnson & Johnson, Ltd. to competently resolve your case. Contact our Joliet law office to schedule a consultation today.